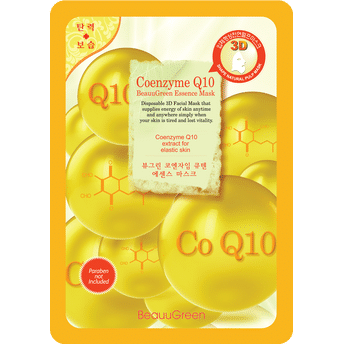 BeauuGreen Essence Mask with Coenzyme Q10 Extracts works wonders for tired and dehydrated skin, and helps in improving skin's elasticity. These skin nourishing face masks are the fastest and simplest way of getting younger, smoother and clearer looking complexion. BeauuGreen 3D Essence Mask is an eco-friendly sheet mask formulated using natural extracts. These 3D mask sheets with 100% natural pulp attach perfectly to facial contours and come in a form such that essence can be absorbed into entire face and ensures complete adhesion. It is the ideal way to brighten, nourish, clarify, revitalize and hydrate the skin thoroughly. It cleanses your face, moisturizes your skin and gives you an oil-free shiny look. Additional Information: Unique therapeutic brand for beautiful people who love and respect their lives. A thera-cosmetic brand that offers beautiful skincare and green life with benefits and wisdom of nature. Their healing formula was designed to help skin take rest from the tiring daily life and restore confidence and beauty. Beaugreen offers unique and nature-friendly products by using only environment-friendly ingredients and remedies. With years of experience and know-how in skin science and technology, they offer natural cosmeceutical skin solutions. Explore the entire range of Sheet Masks available on Nykaa. 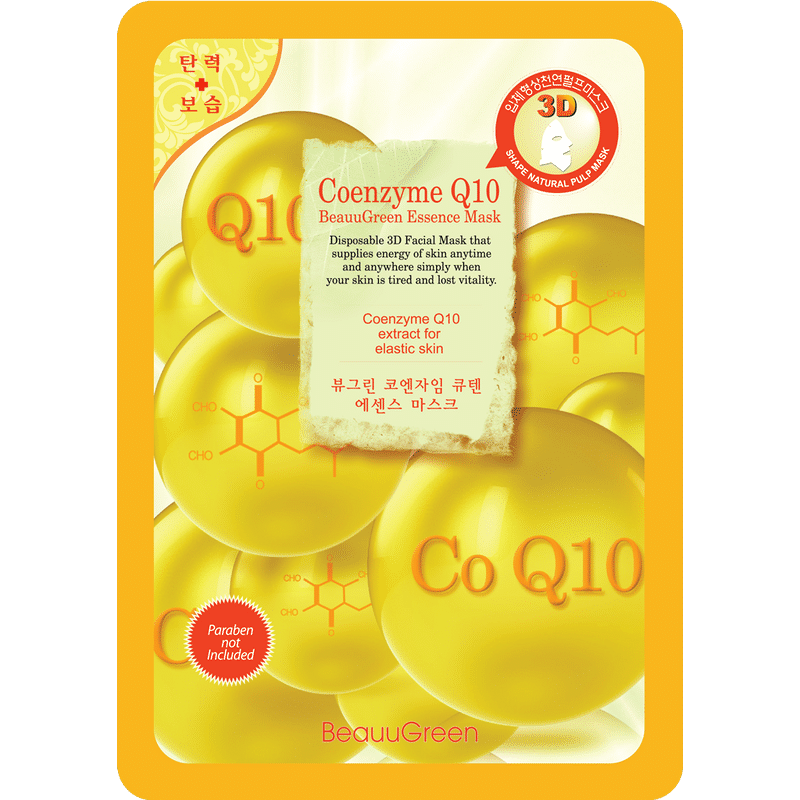 Shop more BeauuGreen products here.You can browse through the complete world of BeauuGreen Sheet Masks .